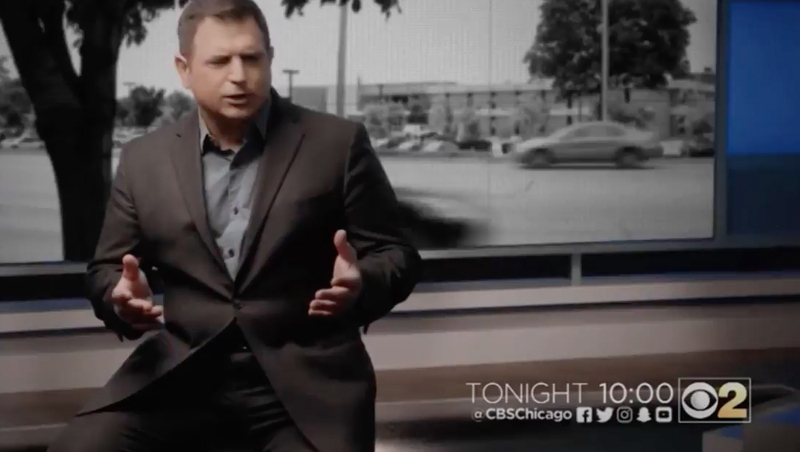 WBBM in Chicago has made its new set, which debuted in September, the centerpiece of a series of sweeps promos. The spots, which promote the station’s “2 Investigates” brand, feature investigative reporter Dave Savini seated in the middle of the station’s newly updated studio. The space is dramatically lit to give them a gritty, somber tone, while the set’s video walls are used as background elements behind Savini. Other shots feature one or more of the video walls framed at various angles without Savini, while the spots also mix in a variety of other angles of Savini narrating the promo. The spots also feature fast cuts between a traditional, full screen video clip and the same clip shown on one of the set’s video walls in one of many vantage points. WBBM went live on the new set in mid-September, marking a move away from its windowed streetside space.